The Email Flow Process is a type of flowchart created to help the modern person deal with incoming mail inquiries. It consists of several step following through a logical order and resulting in an increase of professional efficiency by helping the user quickly differentiate between urgent and regular tasks. 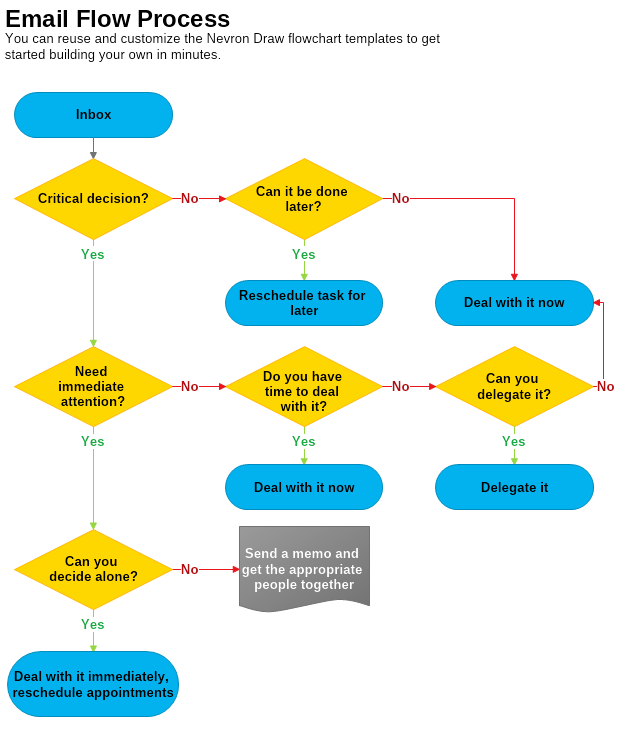 To increase your personal efficiency or the one of your employees, download this ready-made Email Flow Process diagram template and quickly adjust it to your needs using Nevron Draw.